What do you get when you combine the talents, skills, learning abilities, and dreams of your teenager? Someone who is pointed toward success. However, one vital tool is missing – goal setting. With goal setting, you can help your teenager learn the skills necessary to help their dreams become reality. “I never felt like I could do very much with my life.” What a sad statement to make! This adult felt hampered by her situation as a teenager and lacked the necessary environment to feel like her goals could be accomplished. How can you, as a parent, avoid this same scenario? First, open up communication with your teenager. Have a goal-defining session. Make sure you have plenty of time to work through the following exercise, at least an hour. Have them sit down with a piece of paper and answer questions like the following. Encourage them to be as honest and open as possible and take as much time as needed to answer the questions about themselves. Who is someone I admire and what characteristics do they have? If I could solve a world problem, what would it be? Where do I see myself in 5 years, 10, 15, 50? These and similar questions can help your teenager produce a goal-setting profile. This exercise can be repeated and kept confidential. However, encourage your teen to use it as they begin to set goals in their life. Second, teach your teenager goal-setting strategies. There are some specific steps to setting goals. Discuss and brainstorm the steps needed to achieve their goals. Do this step for each individual goal. If needed, research the goal online or at the library or talk to school counselors for guidance on how to reach the goal. Go over the possible roadblocks to accomplishing the goals and how to deal with them. For example, are their financial problems or time constraints to accomplishing the goal? Make deadlines. Don’t be overwhelmed by large goals, set small goals to help meet the large goals. And finally, have them report on their progress every now and again. 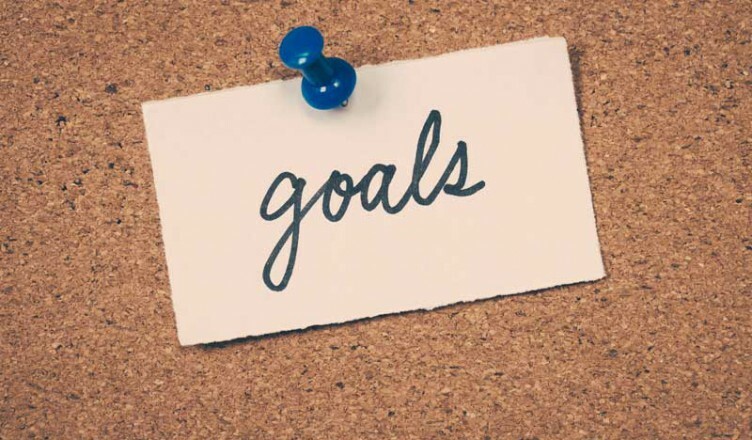 In connection with the final step, a good idea is to set goals and evaluations to work around the school programs. For example, grades can show academic success, or sports programs can show physical prowess. Also, set rewards for accomplishing goals. Talk about how good it feels to meet goals and the rewards that come. Teen goal-setting is a life skill that can take your child far. Watch them grow and succeed as they make their life dreams come true. Good Character: Goal Setting – Achieving Goals, [online]. Get Motivation.com, Denis Waitly, “Creative Goal-Setting For Kids and Teens,” [online]. Human Resources Development Canada: Goal-Setting Tips, [online]. Goalsuccess.com “What I really want out of life!” Exercise, [pdf online].